This is Alex, one of the youths we support in golfing. He was accepted for an award from Perth City Boy’s Club Trust after being rejected by several other golfing clubs and with our support has since gone on to win numerous awards. 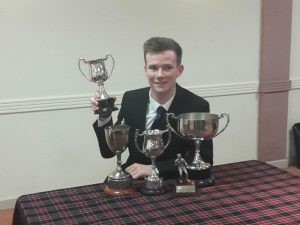 He has won the Under 16’s Perth and Kinross award, the Under 18’s Perth and Kinross award, Player of the Year 2016 Perth and Kinross and has also gone on to represent Scotland in youth golf. 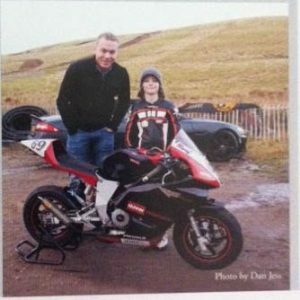 The Perth City Boys Club Trust also sponsored Rory for a number of years with his passion which was motor bike racing. He has excelled in his chosen sport having won eight championship titles in 5 years and was the winner of Sports Personality of the Year in 2012 which is remarkable considering his young age. Rory’s started racing in 2008 and his racing results have been fantastic with 7 first places in 8 rounds in 2011. He travels around the globe and the length of Britain for competitions and has had a number of successful races. The trustees of the Boys Club wish him continued success for the future.